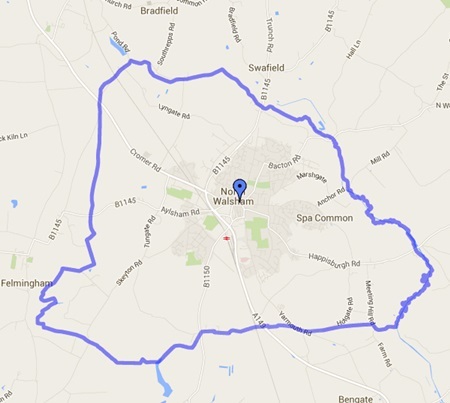 1.1 The name of the organisation shall be the North Walsham Good Neighbour Scheme, hereafter called the Scheme. 2.1 The Scheme is a voluntary community organisation. Its legal status is as an unincorporated community association. As such, no volunteer is entitled to any payment for services rendered but may be reimbursed any reasonable expenditure incurred in providing such services. To support people in need in the local community in order to improve their quality of life. This support provision includes but is not limited to befriending, transport, domestic support, and household assistance. To develop a sense of mutual support and friendship within the local community. To support those in need in the local community through practical assistance. To raise funds to be used only for promoting the objectives of the Scheme. In exercising this power, the Scheme must not undertake any substantial permanent trading activity and must comply with any relevant statutory regulations. To co-operate with other charities, voluntary bodies and statutory bodies in furtherance of the objects or similar charitable purposes and to exchange information and advice with them. To reimburse out of pocket expenses to any volunteer or member of the management committee for services rendered to the charity, provided that the level of remuneration is reasonable and proper. Expenses should be agreed by the committee in advance of spending. To do anything else within the law that promotes or helps to promote the objects. 5.1 Membership of the Scheme shall be open to residents of North Walsham aged 18 or over who take on a volunteer role within the Scheme. 5.2 A Management Committee will be elected from amongst the membership to carry out the legal, financial and operational business of the scheme. 5.3 All members are entitled to a vote in the election of the Management Committee. 5.4 A Chairperson, Vice-Chair, Secretary and Treasurer will be elected from within the Management Committee and they will be the Honorary Officers of the Scheme. 6.1 An Annual General Meeting shall be held each year in the month of April or as soon as practicable after that date. The first AGM of the Scheme will fall due in April 2016. 6.2 An Extraordinary General meeting shall be convened by a decision of the Management Committee or on the written request of three Committee members lodged with the Secretary who shall then issue Notice of the meeting within two weeks of receiving the request. 6.3 The minimum notice of any general meeting shall be a clear 14 days and due notice of the meeting and the business to be conducted shall be given to all members and shall be advertised to the public locally. 6.4 The quorum for a general meeting shall be one third plus one of the number of committee as at the date that Notice of the meeting is issued. 6.5 Unless not present at the meeting, or being unwilling to do so, the Chairperson of the Management Committee will Chair at any general meeting. If the Chairperson is absent or unwilling, the meeting shall elect a Chairperson to Chair the meeting from amongst the members present. 7.1 The Management Committee shall comprise up to 11 members. 7.2 The members of the Management Committee shall be elected, by those members present, at each Annual General Meeting to hold office until the next Annual General Meeting when they will automatically retire. 7.3 Members of the Management Committee may offer themselves for re-election. 7.4 The first Management Committee shall be elected at the inaugural meeting of the organisation and shall hold office until the first Annual General Meeting. 7.5 The Honorary Officers of the Scheme shall consist of the Chairperson, Secretary and Treasurer to be elected annually at the first committee meeting following the Annual General Meeting. 7.6 The first Honorary Officers shall be appointed by the first Management Committee. 7.7 In the event that an Honorary Officer position becomes vacant prior to an Annual General Meeting, the Management Committee are authorised to co-opt a member of the organisation to fill the vacancy until the next Annual General Meeting. 7.8 The Management Committee are authorised to co-opt new members onto the committee and such co-opted members will hold office until the next Annual General Meeting. 7.9 The Management Committee shall make all arrangements for the provision of services to meet the Aims and Objects of the organisation. 7.10 The quorum for Management Committee meetings shall never be less than one third plus one of the total number of Committee members. 8.1 All funds of the organisation shall be held in a bank account opened in the name of the organisation, apart from a cash float of up to £50 to be held by the treasurer to enable the payment of minor expenditure items. 8.2 Cheques on the account must be signed by two authorised signatories as nominated by the Management Committee. Signatories must not be related to each other. 8.3 The Treasurer is authorised to use internet banking as and when appropriate. any anticipated items of income or expenditure. 9.2 The Treasurer will prepare an annual Income & Expenditure Statement at the end of the organisation’s financial year (at 31st March annually or such other date as may be agreed), in time for this to be issued with Notice of Annual General Meeting. 9.3 The Treasurer will arrange for the Income & Expenditure statement to be subject to an independent review by a suitable person, or to an audit if the annual expenditure is such that legislation requires the accounts to be audited. 10.1 This Constitution may only be altered by a two thirds majority vote of the members present at an Annual General Meeting or Extraordinary General Meeting for which the required notice under clause 6.3 above has been given. 10.2 Any such notice must clearly set out the proposed amendment/s to the Constitution. 11.1 Should it become necessary to wind up the organisation, any residual funds or other assets shall be donated to a local charity or charities. 11.2 Any decision to wind up the organisation will only be made after a General Meeting has been convened for the purpose giving fourteen days public notice of the meeting. 11.3 A majority vote of at least three quarters of those members present must confirm the decision to wind up the organisation and the charity or charities which are to receive any residual funds or assets. To download a pdf of our constitution, click here.